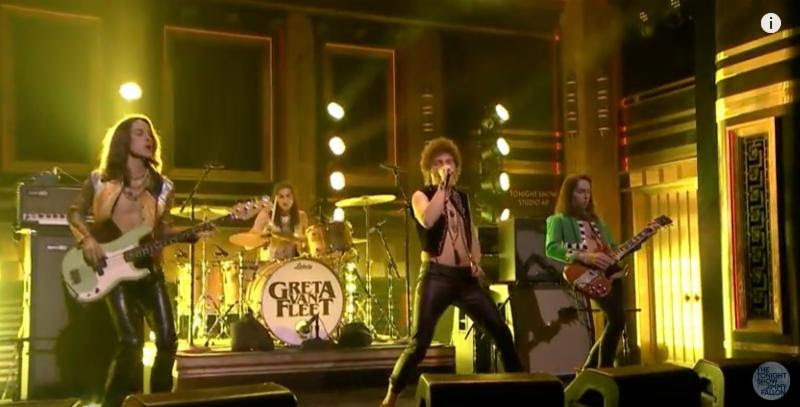 Lava/Republic’s Greta Van Fleet debuted their new single “When the Curtain Falls” on The Tonight Show Starring Jimmy Fallon Thursday night. The song, a reminder that riff-driven rock & roll will never die, is #3 on iTunes’ rock chart, while the young band has quickly climbed to #4 in Vibe-Raters. GVF has been drawing numerous comparisons, of course, to...Kingdom Come. It isn’t often that a musical performance elicits a standing ovation from a TV-show audience. Makes you want to get the SG-3 out of the closet and plug in, don’t it?